Homestead Protection: Florida land trusts qualify for the homestead exemption. Privacy: The interests of all beneficiaries are private unless disclosed by order of the court. Asset Protection: Judgments against land trust do not affect the beneficiaries by statute, This statute does not protect the property from judgments against the beneficiary. That is where a Florida Asset Protection Trust acting as the beneficiary can help. Favorable Tax Treatment: The beneficial interest in a land trust is personal property. As such, the beneficial owners of a land trust including foreign nationals can take advantage of long-term capital gains (presently 15% - 20%). Continuity: The death of a beneficiary does not terminate the trust. The trust can deal with contingencies and not require court supervisions and the costs of probate in multiple states. Ease of Management With Multiple Owners: The trust agreement can establish a plan to deal with buy-out provisions, and can anticipate and resolve potential disputes between beneficiaries. 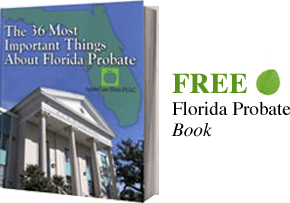 Avoidance of Probate: Property held in a land trust is not subject to costly and time-consuming probate and can protect one beneficiary from forcing the sale of the property. This is a great solution for a family vacation home.